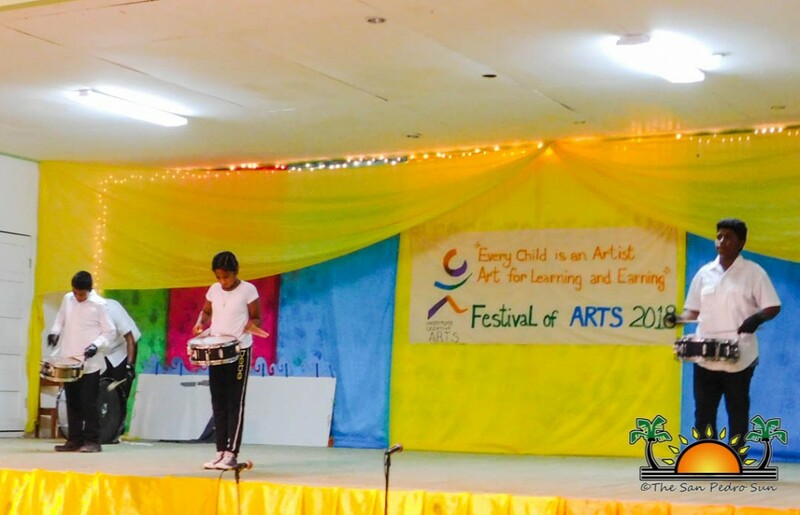 The Belize Institute of Creative Arts hosted San Pedro’s Primary & Secondary Schools Festival of Arts 2018 under the theme: “Every Child is an Artist: Art for Learning and Earning” at the Angel Nuñez Auditorium in San Pedro Town on Tuesday, May 15th. 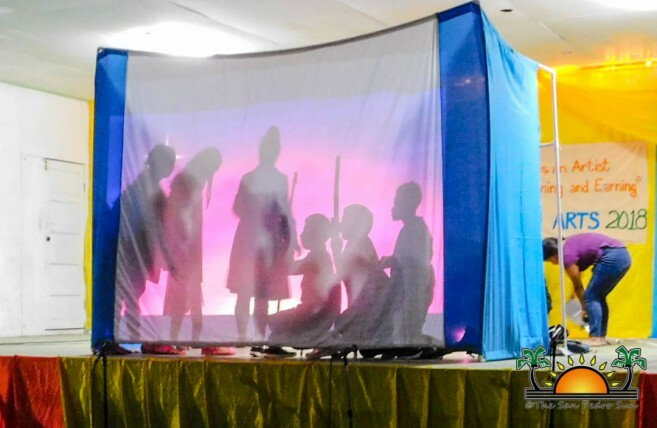 The event saw the attendance of hundreds of islanders enjoying a variety of entertainment. 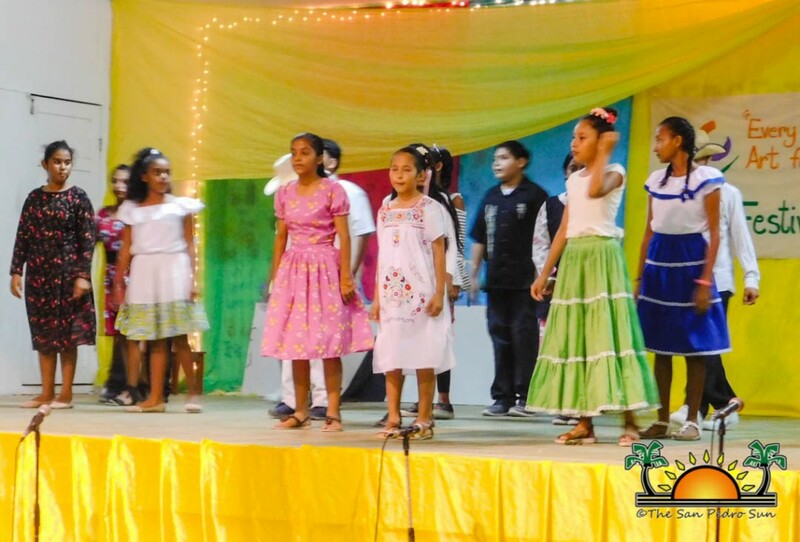 Participating were Island Bonita Elementary School (IBES), San Pedro Roman Catholic School (SPRCS), San Pedro High School (SPHS), New Horizon Seventh Day Adventist School (NHSDAS), Holy Cross Anglican School (HCAS) and Ambergris Caye Elementary School (ACES). The event began at 7PM with the singing of the National Anthem by NHSDAS students, followed by a short invocation by ABC Preschool teacher’s Nicky Chan and Yvette Dawson. Councilor Hector “Tito” Alamilla officially welcomed all attendees, inviting them to enjoy the great show that the students had prepared for them. 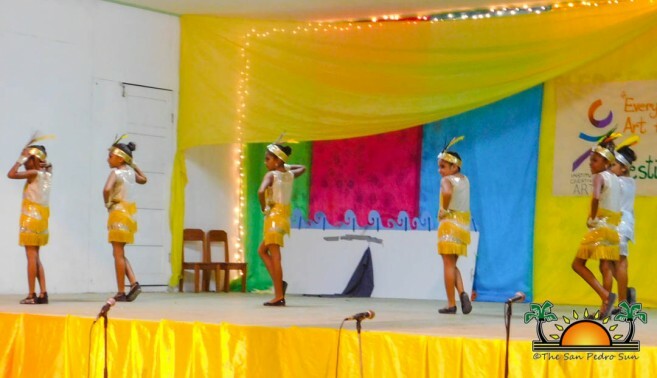 Thereafter, President of the San Pedro House of Culture Guillermo Paz delivered a short speech on the importance of getting children involved in these cultural and fun-filled activities. 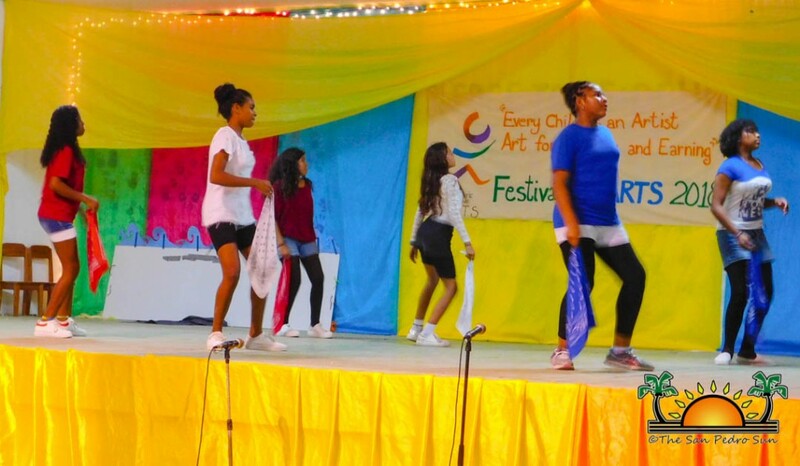 The talent segment of the show included dramas, song and musical performances, cultural and modern dances and even religious musicals. The audience was captivated, as were the judges who had the hard task of selecting the winners: Alvin Ledlon, Sherette Perrote, and Marie Murray. After the show, awards of recognition for each performance were announced by San Pedro Education Officer Odelia Caliz. Receiving gold awards were SPRCS performances “The Reef”-drama, “Jesus Life Story”-drama, “Stand by me”-dance and “Prem Raton Dhan Payo”- Indian dance. NHSDAS “All in All” and “Lord I Need You” –both musical performances. 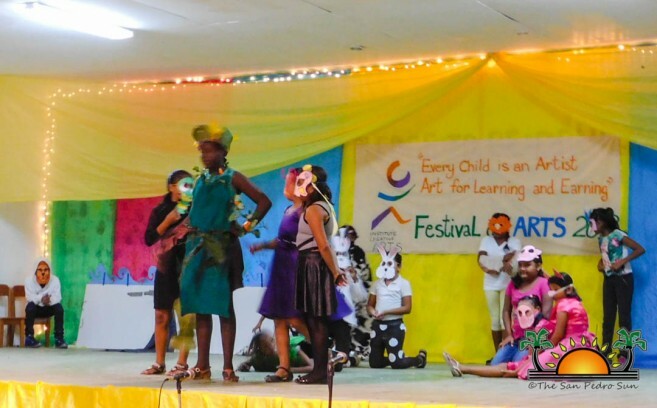 However, judges had to determine the top three acts that will advance to the National Festival of Arts to be held in Belize City, were “The Reef” drama and “Prem Raton Dhan Payo” Indian dance performances from SPRCS, and “Lord I need You” musical performance from NHSDAS. Taking silver were: “La Pollera Colorada” and “Samba Magdalena”dance performance from SPRCS, “Antidote” drama and “The Truth” poem from SPHS, “Bullying” drama and “What does the fox says” dance performance from ACES, “When all the World is Asleep” drama and “It’s Carnival” dance performance from HCAS, and “Borderline” dance performance from IBES. The “Beyond Me” musical performance from ACES was the only act to receive bronze. The organizers would like to thank everyone that attended the festival and supported the performance. The San Pedro Sun joins in congratulating all the children that participated, as well as the winner. Best of luck at the National Festival of Arts.